Sparklite Trailer Evokes 2D Zelda with a Roguelite Twist | Nerd Much? Microsoft announced last Monday that the studio was bringing 30 titles with them to GDC this year. 13 of those were considered part of the [email protected] program. Today, we get a fresh look at one of them with the newly released Sparklite trailer. As a roguelite brawler-adventure, you’ll adventure through a top-down world in an effort to save the Sparklite. Kind of like Star Wars’ the Force, the Sparklite ties everything in the world together and is considered the life force of the planet. The story sees the Baron mining Sparklite to fuel his army of powerful machines. And it’s up to you as the character Ada to fight back against the deterioration that the Baron has caused and save the Sparklite before it’s too late. As teased in the Sparklite trailer, Ada will be forced to travel to the different zones of the game’s world and shutdown the Baron’s various dig sites. As you do so you’ll encounter a variety of enemies and bosses that you’ll be tasked with taking down via a slew of guns, gadgets and gear. 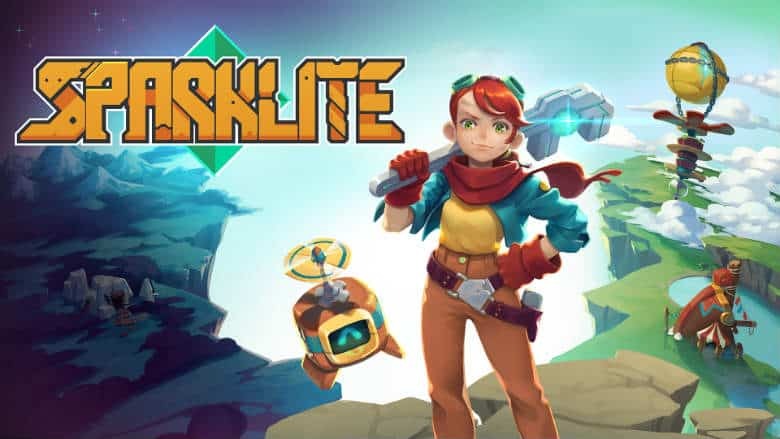 Red Blue Games, and their publishing partner in Merge Games, announced with the release of the new Sparklite trailer that the project should be headed our way sometime this coming fall. Which seems fitting as that’s likely the time frame in which it will compete with a fresh 2D Zelda title in The Legend of Zelda: Link’s Awakening remake on Switch. Sparklite is also confirmed to be coming for PC, PlayStation 4 and Xbox One.